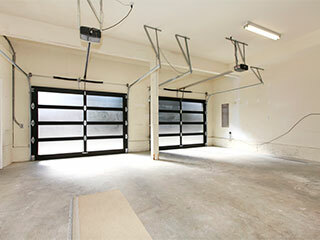 Nobody really spends much time thinking about garage door openers, not unless you work for a leading brand name manufacturer such as Liftmaster or Marantec. However, understanding the differences between the three main types of drive-systems each model can use can help you decide which one is the best fit for you. This will make the shopping process much easier, especially since the selection available today is very vast and diverse. Openers of this type are known for their ability to power the operation of heavy doors, and for their relatively low price range. However, their main downside is that the chain they use to move the trolley that pulls your garage door must be lubricated and adjusted every so often, in order to ensure it's smooth and effective operation. They are also known for being very loud, so if your garage is located near a bedroom or a neighbor's house, this may not be the perfect choice for you. Next on our list is the belt-drive opener. Units of this type operate similarly to the aforementioned chain-drive options, except that they employ a steel-reinforced rubber belt instead of a chain. This makes their operation much quieter, virtually silent, in fact. They too require more than the minimal amount of maintenance, however, and they also tend to be more expensive than the other types. Last, but certainly not least, is the screw-drive opener. This unit's mechanism makes use of a thread which is put through a steel rod that connects with the trolley to push and pull the door. Due to the fact that these types of openers consist of very few moving parts, their maintenance requirements are very low. However, they are also known for being quite noisy, and therefore you must consider whether or not this aspect would be a deal breaker for you. Finding the perfect opener for your specific needs can quickly become an arduous process, as there are many options for you to choose from, all with their distinct features and upgrades. Not to worry, our team at Garage Door Repair Wellington will be happy to provide you with answers to any question you may have. Call us today.